It’s a sign of the times when you see print media going the way of the music stores. As of a couple weeks ago, 3D World magazine’s final issue ever hit the streets, not just in Brisbane but across the country. It is with a heavy heart that not only we lose an inspirational and creative business collaborator but also an informative and quality weekly read. Sadly, the digital medium juggernaut and supporting devices continue to steam roll, what some would say, the soul out of the arts. But all is not lost! The consolation is some features of 3D World will be integrated into local sister publications, in Brisbane, being Time Off. The bigger news is the editorial team isn’t going to go quiet into the night, they’ve mustered wisdom and insight from business cat and montage like inspiration from courage wolf and are already conjuring up a new monthly magazine expanding from the music base into a full fledged culture and lifestyle publication. It has been branded as Australia’s first free iPad magazine with supporting iPad reader app. which will take our humble mag into new international territory! When one person farts another will open a window… or something like that. 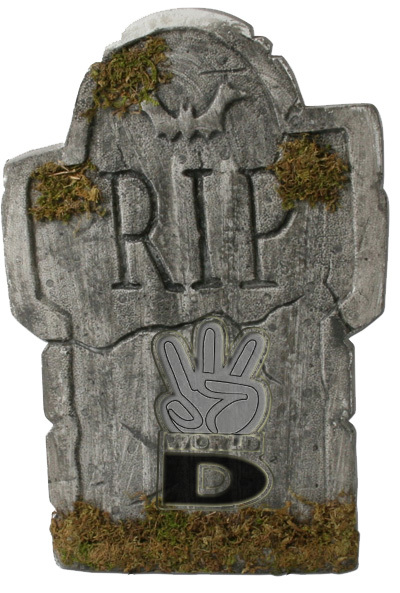 Till then, peace out 3D you will be sadly missed. May you live on in waiting rooms, toilets and my work lunch room forever! 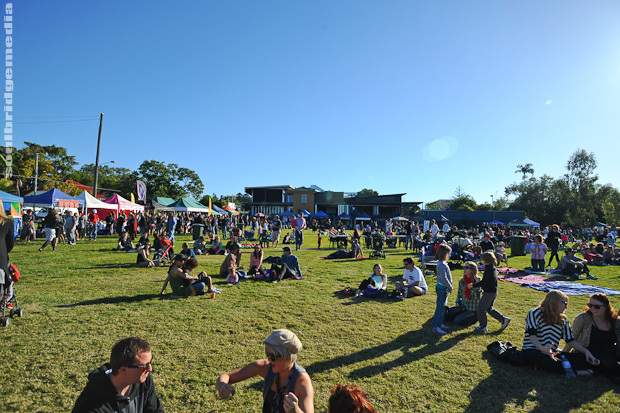 After postponing due to weather in April, the Home Festival scores a beautiful day for their reschedule event. The Dame team hit it again with another long weekend show, happy birthday Queen Mum! 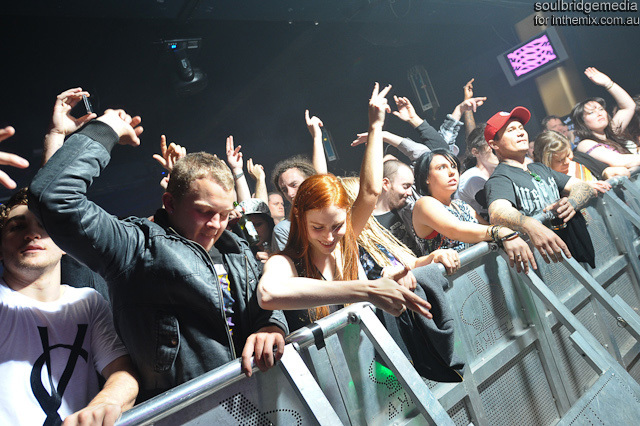 Sound issues aside, DnB stalewart Friction smashes out a rockin set for the Queen’s biffy. This week we wrap up the Shooters Superclub shoot with a double header. Discrow and MC Premix drop in to have a yarn about gay clubs, fake books and robbing kids of their lunch money. Check them out in this week’s issue #1061. This week the sausagefest at the Shooters Superclub shoot is broken up with the lovely Andrea Tenille. Read about her in this week’s issue #1060.